For adult individuals, sagging skin and unwanted fat within the abdomen, no matter how hard they attempt to reduce it, can be frustrating and challenging. Pregnancy, weight loss, and aging are the primary reasons why someone may not be able to regain a tighter and slimmer tummy. However, abdominoplasty is a cosmetic surgery that reshapes the stomach area producing amazing results for patients. 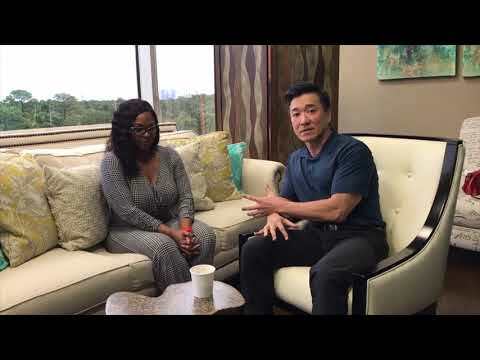 Cosmetic Surgeon, Dr. Anthony Nikko, performs abdominoplasty at the Nikko Cosmetic Surgery Center in Houston, TX that is tailored on the individual's cosmetic goals and needs. This popular surgery allows individuals the chance to have a redefined physique and renewed confidence. Abdominoplasty can be successful for both women and men. If you battle sagging skin as well as unwanted fat in the abdominal region, this cosmetic surgery can help restore a tighter and slimmer physique. Before undergoing this treatment, we suggest that patients are at a stable weight. Abdominoplasty is not a procedure to help you lose weight, it addresses loose skin. Liposuction is usually used during surgery to remove fat. It is important to note if your tummy section has healthy skin tautness, but you are still unhappy with the appearance of your midsection even after you have worked to lose weight, you may be a better candidate for liposuction. If you are a woman contemplating a tummy tuck, you should be past pregnancy to ensure the surgical outcome is not affected. Body contouring of the abdomen is performed with general anesthesia. There are various techniques to consider when performing this surgery, which is tailored for the patient's specific goals. For starters, the incision length is chosen based on the amount of skin that should be removed. Some patients with extensive sagging skin may require a full tummy tuck. A full or extended tummy tuck places the incision from hipbone to hipbone just above the pubic region. Other patients with minimal skin looseness, but are still bothered by the look of their abdomen, may be better suited for a mini tummy tuck. These individuals will still benefit from skin tightening, but will simply have a smaller scar. During a tummy tuck, regardless of the method used, will involve the removal of sagging skin, as well as fat removal. Following this procedure, you will be monitored and released wearing a compression garment to help control swelling. Walking upright will be difficult at first, so you should rest for a few days. Standing becomes easier once the tightness subsides and the incision heals. Most patients can resume everyday functions around 2 weeks. Exercise can begin later, closer to 2 months. The abdomen will feel tight and uncomfortable, but after the area heals you will look and feel normal again. It is no doubt you will love your tighter and more youthful appearing physique! Numerous reasons can create a loose abdomen, creating hanging folds of skin. However, an abdominoplasty is generally the primary way to overcome these aesthetic issues. If you are embarrassed by hanging skin in your abdomen, no matter how minimal or severe, tummy tuck surgery can allow you to get the look you desire. Please contact our office to learn more.